Do we need a nursery chandelier? How to decide between color, style and theme? Antler chandeliers, monkey chandeliers, frog chandeliers; you will be amazed by the range and diversity of the fun, funky and fancy chandeliers available today. 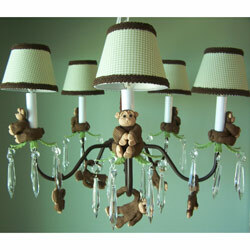 Chandelier lighting is more popular in nurseries or in a girl's bedroom. Their feminine curves and dainty crystals certainly would not work in a boy's room. Although these days you can also find chandeliers that work wonders in a boys room - especially if it goes with the theme. Do You Need a Nursery Chandelier? The best feature of a chandelier in the nursery is that the light fixture is far away from the baby. He cannot trip on the wires or touch the bulb etc. It would also give him some visual change when looking up at the ceiling...like a mobile. The aesthetic value cannot be ignored either. As any woman will know, the beauty and elegance of a chandelier enhances the beauty of the room. It is an accessory like jewelry. It adds the shimmer. Once your daughter reaches the teens, she is sure to ask you for a bedroom makeover to show her blooming personality. A sure way to get her friends drooling over her new room (and that is what she secretly wants. Really. 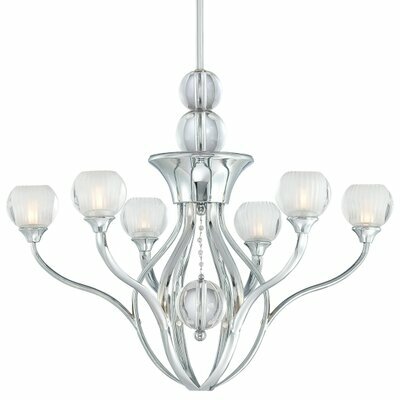 ), is to bring in a gorgeous lighting fixture. Whether she opts for the girly pink chandelier or goes for a more contemporary chandelier. Can Boys Rooms Have Chandeliers? In a word, YES. When beauty products and fashion have boldly entered the mens arena, why should chandeliers be left behind? 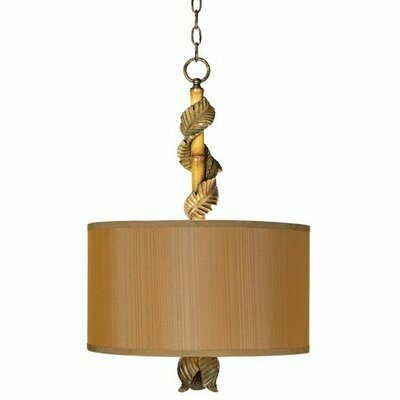 Finding unique chandeliers that are appropriate for boys rooms is a breeze. Check out the awesome Cowboy Chandelier , Nautical Sailboats Chandelier and even this Motorcycle Pendant would get the approval of any young man. They would merge into the theme of the nursery or kids room splendidly. Teen girls bedrooms simply call out for a gorgeous chandelier lighting fixtures and some have even been known to add a chandelier in their bathroom. How exquisite! You can also make a nursery chandelier yourself. How? All you need is a wire basket, some tools, lots and lots of beads...and this interesting tutorial to guide you through.